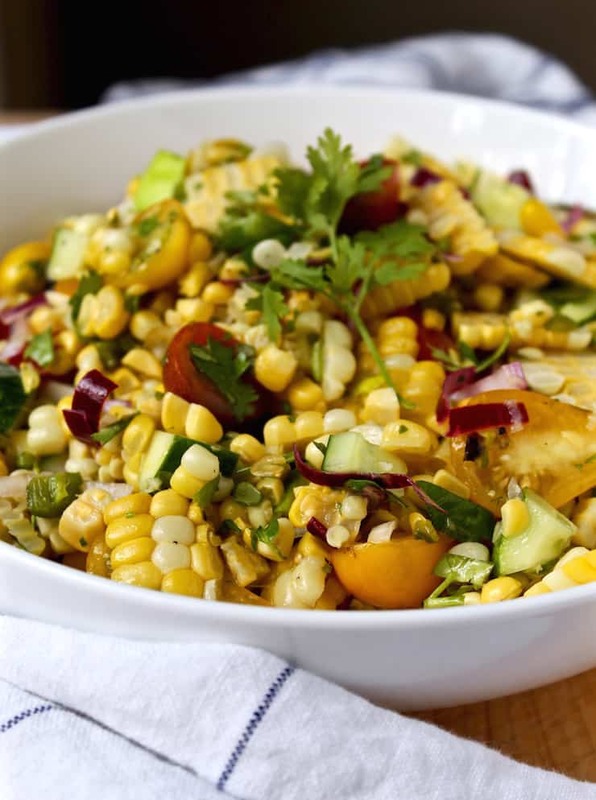 Grilled Corn Salad with seasonal sweet corn and farm-fresh vegetables in a delicious honey-lime dressing. We’ve been grilling a lot of corn this summer for dinner. Just tossing the ears of corn on the grill, not even shucking them first. Meathead cooks them until they are charred and almost black all over. The husks and silks come right off. 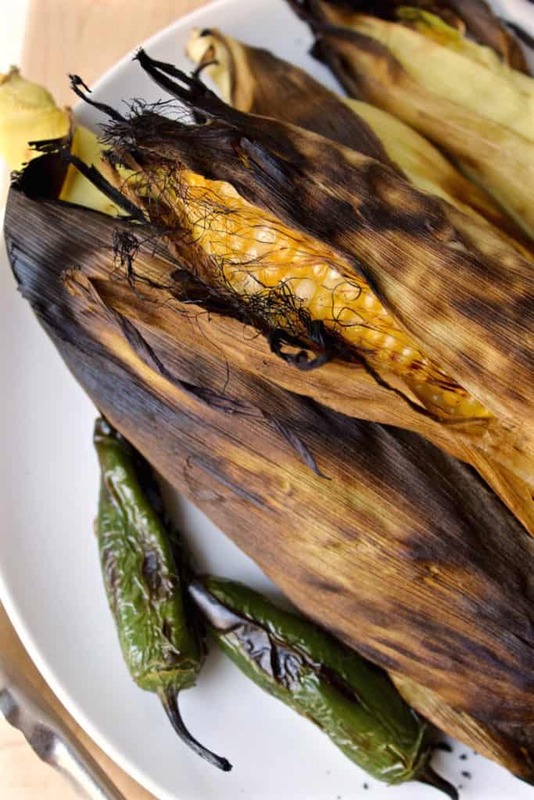 Easy and definitely a grilled taste to it, unlike boiled corn. 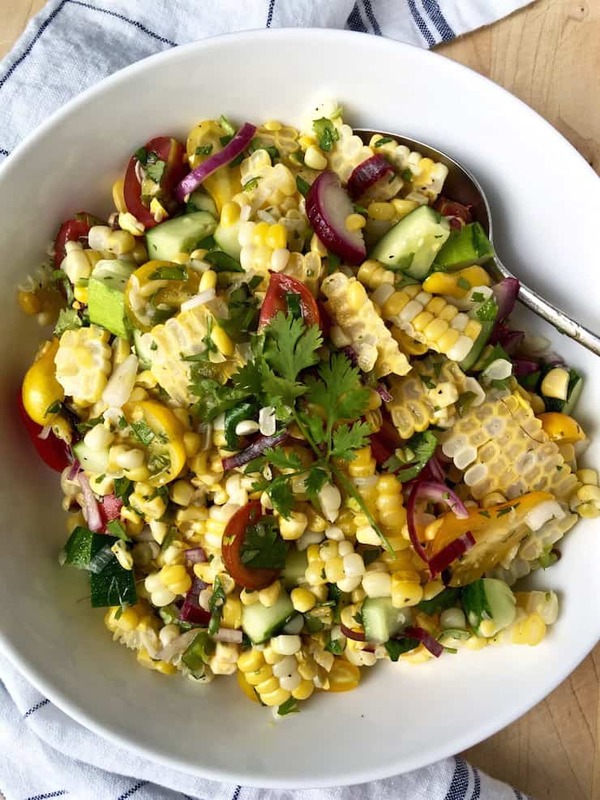 Anyhoo, I was at the farm stand and decided to make a grilled corn salad with all the fresh vegetables I bought that day. It did not disappoint. 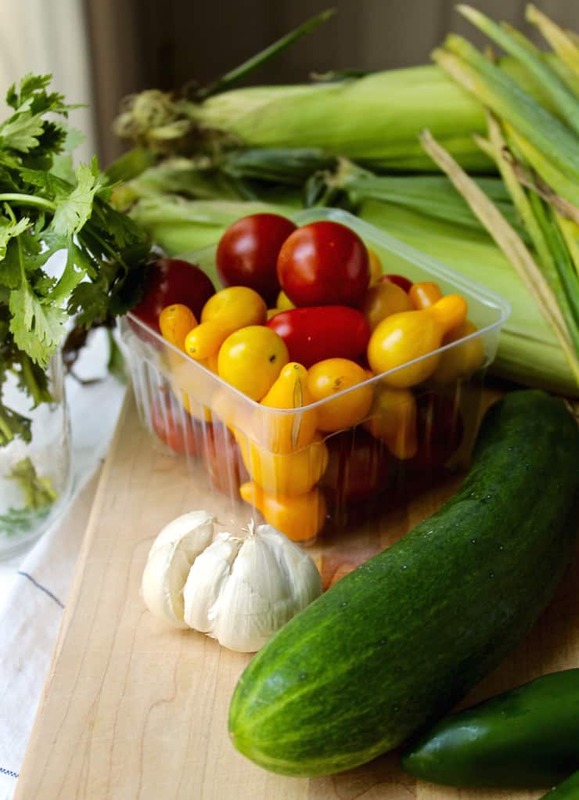 I picked up corn, jalapeños, mixed cherry tomatoes, cucumber, purple bunching onions and cilantro. Grill ~ chop, chop ~ make a dressing ~ toss it all together. Done. So easy and so good. Really, really fresh tasting. I chose a honey-lime vinaigrette and it was perfect. So let’s talk heat factor. I love spicy, both in terms of flavor and heat. My family isn’t as tolerant as I am when it comes to heat. Frankly, I don’t find jalapeños to be very spicy. So I just finely chopped it whole after I charred them on the grill. Contrary to popular belief, I read somewhere that the heat is not in the seeds but in the membranes. Well, turns out I got pretty darn hot jalapeños from the market! Maybe they were another kind, not sure, but this salad definitely had a kick. I loved it ~ Picky Eater, not so much. Even Meathead thought it was too spicy but very good otherwise. Keep this is mind if you make this salad, and adjust or cut back to your liking, just sayin”. 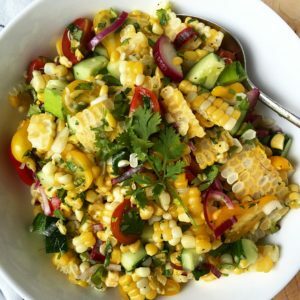 If you try this Grilled Corn Salad or any other recipe on the blog, then don’t forget to rate the recipe and let me know how yours turned out in the comments below ~ I love hearing from you! 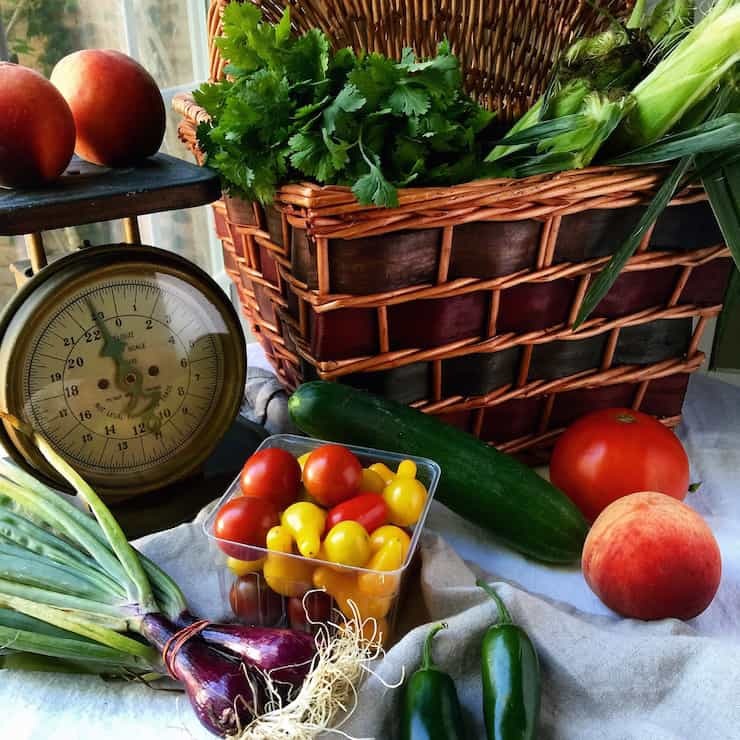 You can also FOLLOW ME on FACEBOOK, TWITTER, INSTAGRAM and PINTEREST to see more of what I’m cooking in my kitchen and recipes. 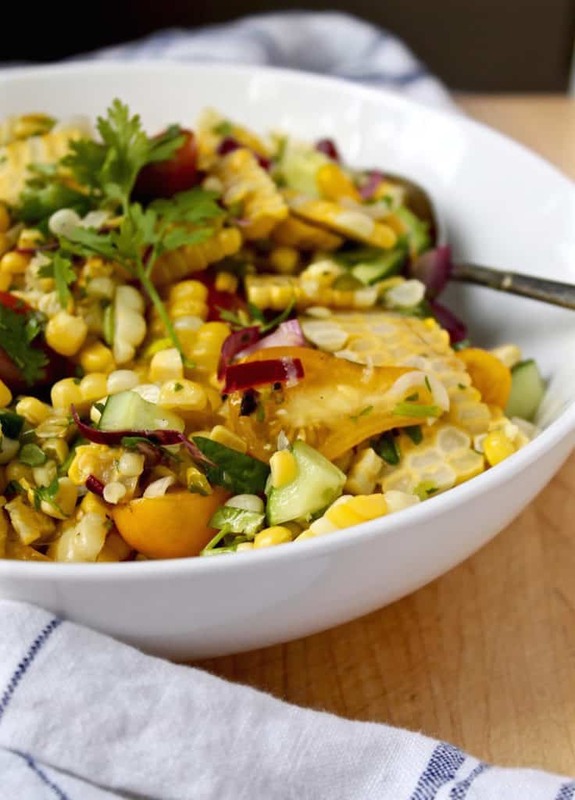 Grilled fresh summer corn and farm fresh vegetables in a delicious honey-lime vinaigrette. Heat grill until very hot, add corn and jalapeños, turn frequently until charred on all sides. Corn will take about 20 minutes, jalapeños take much less time, watch carefully. Remove from grill and let cool slightly. 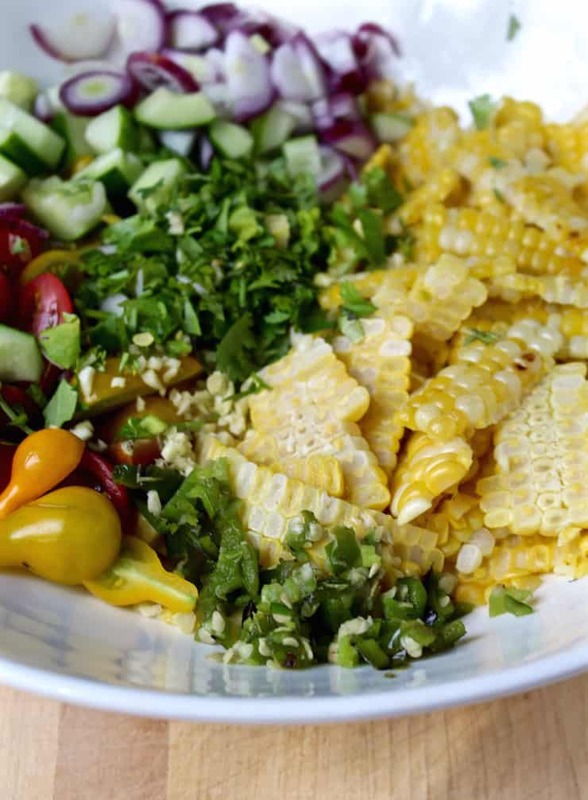 Shuck corn and cut off the kernels into a large bowl. Finely chop one grilled jalapeño and add to the bowl. Add the cherry tomatoes, cucumber, onion, garlic and cilantro. Season with salt and pepper to taste and toss gently to combine well. In a jar with a tight fitting lid, place all the ingredients for the dressing. Screw on lid and shake vigorously to combine. Pour about half the dressing over the salad, toss to combine well. Taste and adjust seasonings and add more dressing if needed. Serve immediately, at room temperature. Enjoy.